Welcome to Sportskeeda's Cricket News Today for October 7, 2018. It was supposed to the be fourth day's play between India and West Indies, however, India were ruthless and dismantled Windies within three days itself. The first Test between Pakistan and Australia began today, with Pakistan currently on top with 224 runs on the board for the loss of two wickets. Mohammed Hafeez silenced his critics with a fantastic century and Imam ul-Haq chipped in with 76 runs as well. Apart from this, the Vijay Hazare Trophy continued today with three matches taking place in Chennai. 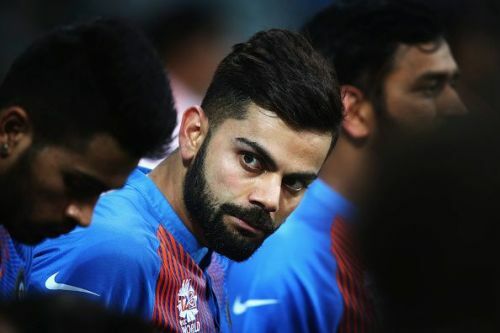 According to reports, Indian captain Virat Kohli has turned vegan. This means that he has cut out all sources of animal products from his diet. If the reports are true, Kohli will be joining a long list of sportspersons who have turned vegan in the recent past. “Two years ago, when he was on a normal diet, he had said that he would go vegan if given a choice. He is now feeling stronger than before,"